While there is always money in the liquor industry, there is also always risk. Opening your own bar or restaurant means you are jumping into a legal quagmire. Customers that are over-served at your establishment can take legal action against your business. Fights, brawls, broken glass, and broken bottles can all be a lawsuit waiting to happen. How do you ensure that alcohol is being served safely in your establishment and how do you safeguard against potential risk? In New Mexico, there is something called third-party liability. In other states, this is known as the dram shop law. This means that if a customer who appears grossly intoxicated is still being served, and then leaves the establishment and causes an accident, your establishment can be held partly responsible for the damage incurred. Proof of negligence on behalf of the bar or restaurant is needed to prove the plaintiff’s case. If your bar is proven to have served an already intoxicated patron, then you are liable via the third party liability law. In order to avoid this, train your staff and educate them on recognizing intoxicated behavior. Actively encourage them to avoid serving these customers and train them in ways to politely refuse these customers service. Say things like “We cannot serve you anymore,” instead of “I don’t feel comfortable serving you.” This puts the power out of the server or bartender’s hands and into the establishment, leaving little room for debate from the intoxicated customer. Training and talking openly with your staff about the dangers of over-serving are crucial for any bar or restaurant owner. Have all new employees take a short alcohol training session regarding your internal policies as a part of their employment. All of the legal requirements should also be met through the proper Alcohol Server Training that is required to receive their Alcohol Server Certification that is required by the state of New Mexico. This usually goes without saying but checking I.D.s is absolutely crucial. Perhaps everyone should be properly identified before they enter the bar, or perhaps that role is up to your service staff. Either way, making sure you staff is educated on how to properly check I.D.s is an absolutely fundamental part of your business. You can also purchase an ID checking guide that walks you through each possible ID. If you are caught serving minors, your restaurant can be either shut down or fined thousands of dollars. Furthermore, serving customers that are of-age ensures that you will have more responsible clientele, protecting you against further risk. Always train your bartenders to measure all of their drinks. Whether this is by training them the 5-second pour or by using a jigger, make sure that your bartenders are not over-pouring. This can lead to over intoxicated customers, which almost inevitably leads to trouble. A good tip is to have recipe cards for all of your standard drinks, so that over-pouring can be avoided. It is always smart to have a taxi service on speed dial. Uber and Lyft could be alternate choices as well. Having a safe, guaranteed way to take customers home is a wonderful safety measure. 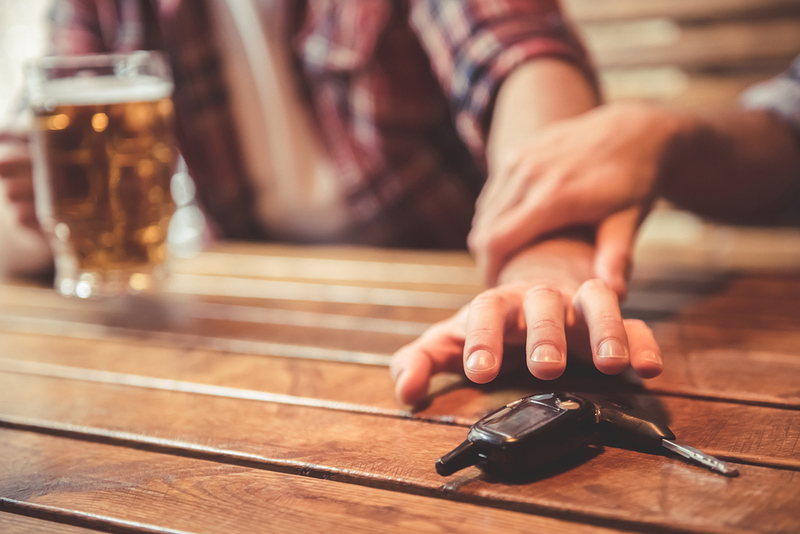 Even when customers are over-intoxicated, saying your establishment went the extra mile to get them home safely will better your name and safeguard your business. All in all, serving alcohol safely depends almost entirely on your staff. Sure, you can have certain rules in place that will help mitigate over consumption, but having an educated, successful and responsible staff to act these rules out is essential. Train and treat your staff well, and you will be well on your way to serving alcohol safely.